In today's competitive landscape, institutions need to demonstrate the impact of their research. Researcher profiles are important for exposing the breadth of the university’s research expertise. However, profiles are often maintained in multiple locations and are frequently incomplete, making it difficult for researchers and institutions to showcase their strengths. 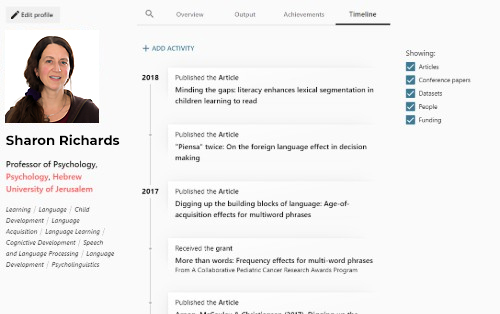 Esploro enables the automatic creation and update of researcher profiles, displaying researchers’ publications, achievements and academic activities in one location. Researchers benefit from an effortless way to present their work to the world, attract funders, and facilitate collaboration, while institutions enhance their academic reputation. Institutions can create an online portal that exposes researchers’ expertise, featuring researcher profiles from all disciplines. 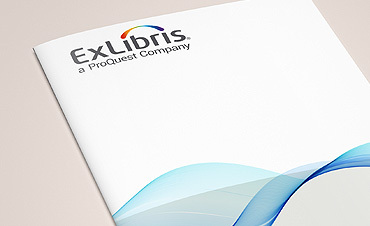 Profiles are created and continuously updated based on intelligent capture of assets from multiple external sources, including Ex Libris discovery indexes, disciplinary repositories, and national repositories. 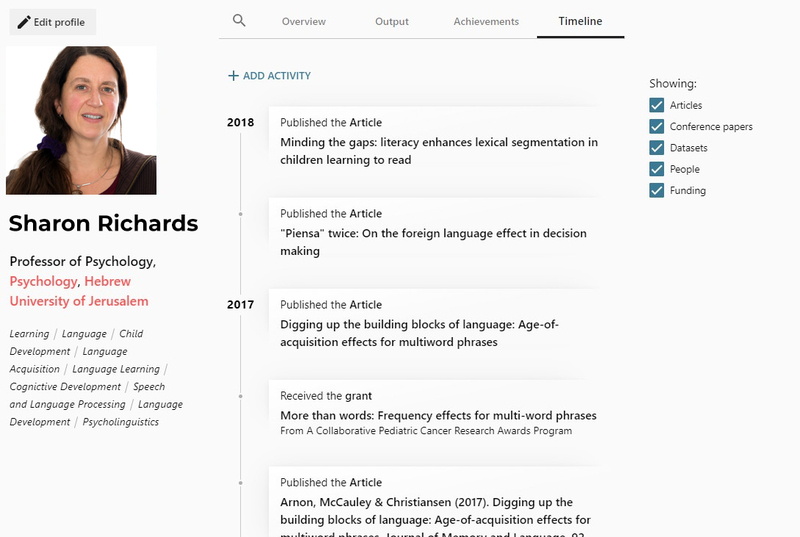 Profiles reference the various types of research assets produced by researchers at the institution, including publications, related data sets, conference proceedings, dissertations, blogs, and media mentions. An embedded approval workflow helps researchers and libraries validate profiles and manually edit as needed. Advanced machine learning techniques facilitate author disambiguation, enabling Esploro to automatically match the right author to research assets. 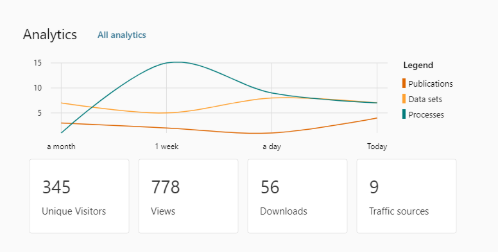 Esploro integrates with multiple metrics systems, and can display Altmetrics KPIs, citation metrics, and journal metrics. Public profiles play a key role in facilitating collaboration with other scholars as well as partnerships with commercial companies. 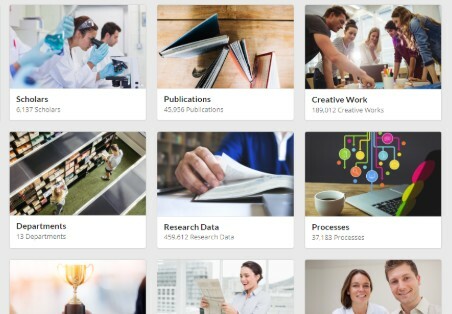 Esploro helps universities and scholars quickly showcase researcher profiles, with minimal effort from researchers and research office administrators. 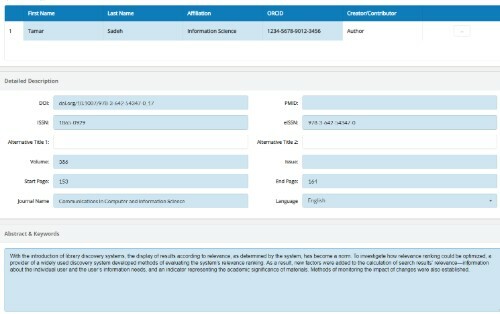 Maintaining researcher profiles in one location, connected to a researcher’s publications and work and easily discoverable on the web allows institutions to open doors to new opportunities and connections. Researchers can go beyond their personal networks to showcase their expertise to other researchers, funders, and businesses. Esploro also allows scholars to maintain one profile by having their profile synced with external profiles such as ORCID. Esploro integrates with other services in the academic ecosystem through open APIs, allowing institutions to automatically enrich their systems with data from researcher profiles. Services that can benefit from data enrichment include faculty assessment review systems, funding services (e.g. 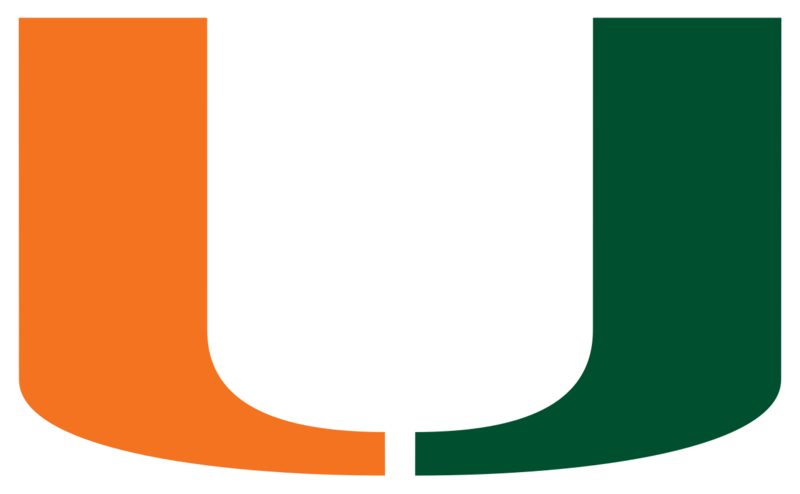 Pivot and Research Professional), Research Administration Systems, and Article Processing Charges requests.